Dr. Kieran Ayre is a Licensed Clinical Social Worker and a Licensed Clinical Alcohol and Drug Counselor with 30 years of clinical experience working with adults, adolescents, couples, parents, and families. He has published numerous articles and papers and has lectured at both statewide and national events. As one of the most highly credentialed clinicians in the substance abuse and co-occurring field, Dr. Ayre is a recognized expert in the areas of co-occurring disorders, treatment, and alternative Substance Use Disorders (SUD) treatment approaches. In addition to his clinical practice, he is a professor at both Rutgers University School of Social Work and Rutgers University Center of Alcohol Studies. Dr. Ayre is the former Chief Clinical Officer and Chief Development Officer of a large, nationally known substance abuse rehabilitation system. He has developed and managed all levels of substance abuse and co-occurring care ranging from detoxification and residential treatment through outpatient and sober living. 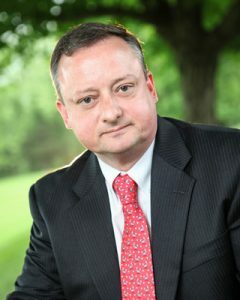 A preferred provider for executives and professionals seeking mental health or substance abuse services, Dr. Ayre’s expertise is provided in a discrete manner, affording clients the comfort and confidentiality to address their particular concerns at his full-service private practice in Morristown, New Jersey. Dr. Kieran Ayre lives with his wife and children in Northwest New Jersey. He is a motorcycle enthusiast and an FAA licensed private pilot.